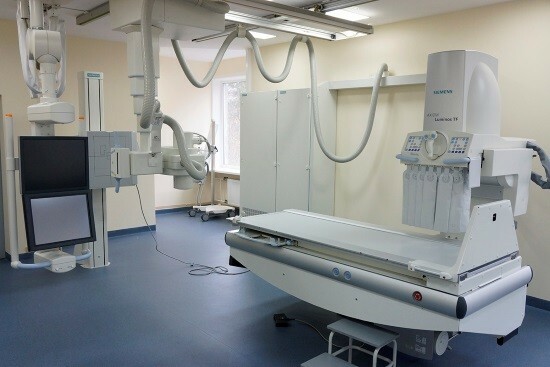 X-rays is the study of the internal structures of various objects in which the image is projected by means of x-rays on a special film or paper. While passing through these objects the rays are absorbed, and the degree of attenuation will be engraved on a receptive material. The resulting film is displayed, or summing, the image of those tissues through which they passed. Radiography refers to the class of non-invasive research, that is, to penetrate through natural barriers inside the body occurs. There are also a number of improved methods. These include sighting radiography, which allows to get a more detailed snapshot of a particular area, sometimes from multiple angles. This allows the doctor to examine the place of the alleged disease, as will be visualized even small parts of the body that are not visible to ordinary observation image. Sighting radiography of the chest and trachea is often used. This technique is useful for suspected tracheitis, third party body the respiratory tract, various tumors and malformations of the respiratory tract, their injuries, stenosis and abscesses. 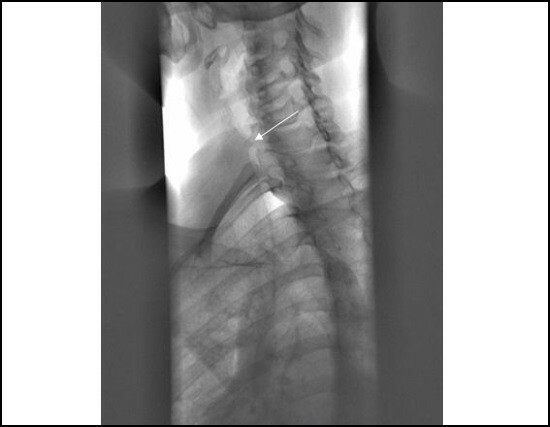 As a rule, an x-ray does not require any specific training. The patient should be warned about the forthcoming investigation. The trachea and large bronchi is always visible on the radiographs of sufficient quality. The trachea starts at the larynx, it is divided near the sternum at an angle of about 70 degrees to the two main bronchi, which can be traced back to the lungs. Radiological landmark can be aortic arch, below which there are already the bronchi. On average, its length may be about 10 or 12 inches. Since the formation of air-filled on radiographs they have a lower density than the surrounding tissue of the mediastinum (look darker than the surrounding tissue). When viewing x-rays taken in the lateral projection, if you hold the back wall of the trachea plane in the front slice, it will be the border that separates the average from the posterior mediastinum. Normally, the trachea is located at the center or displaced somewhat to the right. If there is a deviation, it is important to establish whether this is a result of the incorrect position of the patient during shooting, or the result of a pathological process. To improve visualization of the Airways can be applied to the contrast – introduction to the special clearance of substances that absorb x-rays more than air, which gives the opportunity to assess the relief of the mucous membrane and its changes. One of the symptoms that can be seen on the survey radiograph, is the displacement of the trachea to the side. This condition has to be studied in detail, and, if necessary, appointed an additional method of investigation, including sighting radiography. If there is an increase of pressure in one half of the chest, the trachea is displaced in the opposite direction. Conversely, if the pressure level drops on one side, then the lungs collapse, and pulled her with him in the side of the lesion. The image also shows noticeable narrowing of its lumen, which is normally equal to two inches. 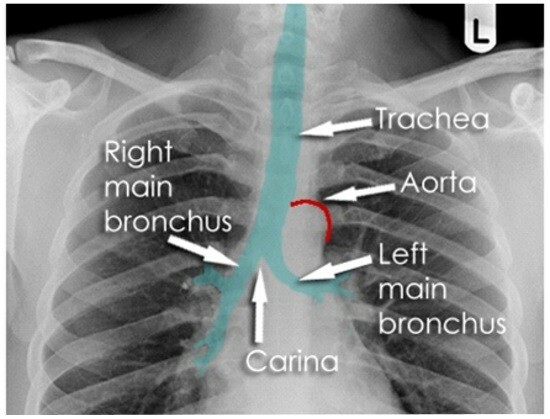 On the x-ray visible a similar pattern – the trachea is narrowed, the presence of formations of medium and low density in the mediastinum, which compresses it from the outside or grow inside of her. Agenesis, or blindly ending in the trachea. Hypoplasia of the cartilage. Appears weak wall, which is hard to see in the picture, and narrowing of its lumen. Tracheal fistula. 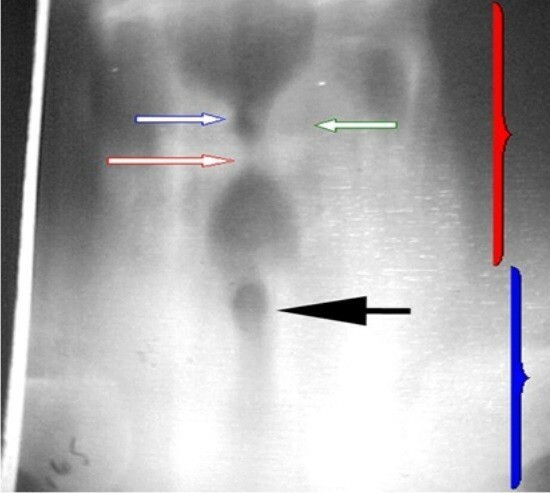 On the x-ray visible by contrast when they become the defects of the walls and contrast fluid in the mediastinum. General condition of the person. For the rest of the patients the examination is not a threat. Despite widespread fear of «radiation», radiation dose is very small. It does not exceed the dose of natural radiation, which acts on the body during the day. For example, for the occurrence of minimal changes in the body to migrate more than a hundred sessions of computed tomography in a row. Pass radiographic study in the most modern of hospitals and clinics. Radiography of doing everything, and here for pictures of the procedure requires a doctor’s prescription. These include computed tomography, which is an improved version of radiation research. It gives you the opportunity to obtain a series of layered slices of all parts of the body, which can then be viewed one by one. It is used to consider the structure of some pathological entities and bodies to identify the exact localization of the processes. Magnetic resonance imaging is based on the phenomenon of nuclear resonance atoms. It is used primarily to image soft tissues of the body.